Favorite book from my childhood. 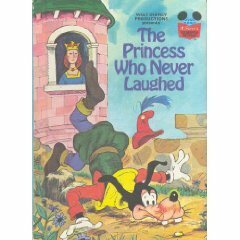 I have had this picture book since I was a child; I remember giggling with my daughter when we repeatedly shared it when she was a little girl. Recently, after being reminded of this story, I pulled it off the shelf of cherished-yet-often-neglected books and read it again with my now teenager. It’s funny how the lessons of commonsense and thinking about each situation before acting apply even more now that she is older. I’m hoping she will outgrow her “Goofy” stage while still retaining a little of her goofiness that makes her who she is before she reads this to her own children.